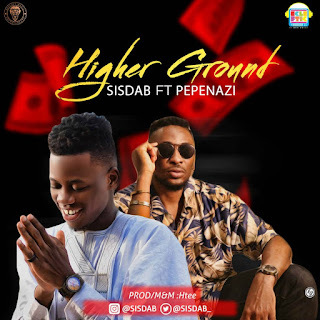 The fast rising Nigerian artiste, Sisdab, who recently bagged a prestigious Masters Degree from University of Lagos, teams up with Ecleftic Superstar, Pepenazi, to bless our ears with good music titled; Higher Ground. The song is produced by a Top Notch Hit-maker, Htee. Higher Ground preaches greater heights in endeavours. A song of a new dawn and an amazing tune of positive vibes. Hence, Higher Ground is a positive force and movement. It is an artistic tune that berates negativity.